Product categories of Gantry, we are specialized manufacturers from China, Boat Gantry, Lifting Gantry suppliers/factory, wholesale high-quality products of Overhead Gantry R & D and manufacturing, we have the perfect after-sales service and technical support. Look forward to your cooperation! Gantry crane bridge crane is a kind of deformation, also called gantry crane. Mainly used in Outdoor Yard, loading and unloading of goods, the bulk of the field. Its metal structure as a door shaped frame, bearing girder installation of two legs can be directly in the ground track walk, at both ends of a main beam can with cantilever beam. Gantry crane has the space utilization rate is high, and large working range, adapt to wide, general characteristics, widely used in port yard. This kind of crane adopts box type and truss structure, the most widely used. Can carry a variety of pieces of goods and bulk materials, the weight of 100 tons, the span of 4 to 39 meters. With ordinary high-level gantry crane Grab. General gantry crane is mainly refers to the hook, grab, electromagnetic, gourd gantry crane, which also includes semi gantry crane. Mainly used for lifting and opening and closing the gate, but also to carry out the installation work. Up from 80 to 500 tons, the span is smaller, is 8 to 16 meters; the lifting speed is low, for 1 ~ 5 m / min. Although this crane is not a regular crane, but once the use of the work is very heavy, so to increase the level of work properly. Ship to berth assembly, standing with two lifting trolley: A has two main hook, running on a bridge on the flange of the track on; and another has a main hook and a pair of hook, run on the flange of the rail of the bridge to turn and lifting of large hull block. Lifting weight is generally 100 to 1500 tons; span of 185 meters; lifting speed of 2 ~ 15 m / min, and 0.1 to 0.5 m / min of the micro motion speed. Transported to the yard or rear, carried away by the container gantry crane duima up or direct loading, accelerate the turnover of the bridge or other crane container carrying. Can be stacked high 3 to 4 layers, 6 rows of the container yard, the general use of the tire type, but also useful. Compared with the container truck, Longmen crane span and the height of both sides of the gantry are larger. 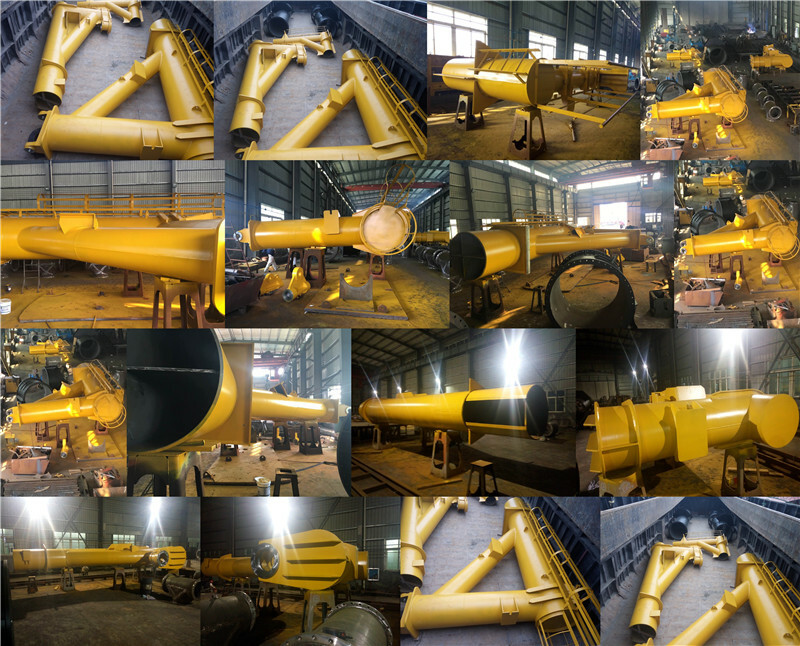 In order to meet the need of the transportation of the port and wharf, the working level of this kind of crane is higher. From the lifting speed is 8 ~ 10 m / points; span across the container as needed to determine the number of rows, up to a maximum of 60 meters corresponding to 20 feet, 30 feet, 40 feet container weight were approximately 20 tons, 25 tons and 30 tons.